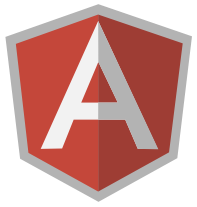 Beginning AngularJs, and the Marvel API. So why not learn the basics of Angular and play with the newly released Marvel API?! This is a pretty high level overview of how I put together a little app, FOUND HERE. It was my first crack at AngularJS. I have some experience with Backbone, and I am working on a larger app with it I will post about later, so some of the ideas made sense to me. However others just seemed like some Dr Strange magic…see what I did there? Here we go, Part 3, the “Return of the Jedi” for our game. If you have been following along you should be able to just pick it up. If not, check out Part 1 and Part 2. In this final part we will add a few finishing touches. Lets start with something in the background, and an enemy. It will be a simple finish, but it should allow you to expand from there! Lets start with the background, we will keep it simple and draw some stars in the background. The idea is to randomly draw 50 2×2 pixel particles for our stars. Create a simple function that has a loop in it that will add a new object to a Game.stars array. Alright so in the last part we got a ship to the screen and that is about it, nothing really exciting. Let’s change that! Let’s get our player moving, and get him shooting! First lets update our player object to account for a few more variables.